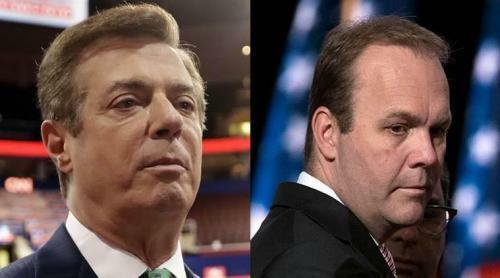 A former Trump campaign aide and longtime business partner of Paul Manafort, Rick Gates, has changed his previously plea from innocent to guilty to two charges in a scheme in which Special Counsel Robert Mueller claims more than $75 million flowed through secret accounts set up by the pair. Gates will plead guilty - the third to do so by someone tied directly to Trump's campaign - to a conspiracy to defraud the United States "by impeding, impairing, obstructing and defeating" the DOJ and Treasury, and a second count of lying to authorities over his work with Manafort in Ukraine by giving a "materially false, fictitious, and fraudulent statement" to the Special Counsel's office. Gates and Manafort stand accused of laundering over $18 million in income related to lobbying activities on behalf of the former President of Ukraine, through his firm, DMI - of which Gates transferred over $3 million from offshore accounts to accounts he controlled. Manafort and Gates used millions of dollars from the offshore accounts to pay for personal expenses, including the payment of Gates' mortgage, his children's tuition, and even interior decorating for his Virginia home, Mueller claims. Mueller requested that the trial against Manafort and Gates to begin May 14, citing over half a million pieces of evidence, including imaged copies of 87 electronic devices. Gates will testify against Manafort in upcoming proceedings, and has been granted permission to travel to Boston with his children for spring break in the first week of March while wearing a GPS monitor. Based on court guidelines, he faces between 57 and 71 months in prison, however the Prosecution may request a shorter sentence. Several new tax and bank fraud charges were levied against the pair this week by Mueller, which detail a scheme to launder over tens of millions in income and mask over $10 million from Cypriot entities which were disguised as loans. In total, the two face 32 charges - 20 more than the original 12 count indictment. Mueller indicted the pair last October for laundering millions of dollars earned while acting as unregistered agents of the former Ukrainian government. In the superseding indictment filed on Thursday in federal court in Washington, they face new charges of tax evasion and bank fraud, as Bloomberg reported on Thursday. NBC News reported yesterday that at least some of the bank fraud charges hinge on whether Manafort promised Stephen Calk, a Chicago Banker and president of the Federal Savings Bank, a position on Trump's Council of Economic Advisers in August 2016. Manafort received three loans in total from Calk's bank. Manafort borrowed nearly $18 million from the bank in 2016 and 2017. Meanwhile, Mueller's team was able to persuade US District Court Judge Amy Berman Jackson to deny Paul Manafort's modified bail package, noting that the properties pledged towards his $10 million bond was "unsatisfactory," due to the fact that the property in question was already collateral on a loan for another property which Manafort may default on. 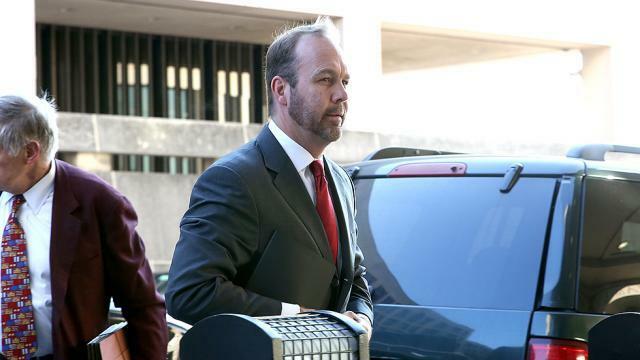 Gates' guilty plea follows weeks of speculation and a change in legal representation for Gates, who dropped lawyers Shanlon Wu, Walter Mack and Annemarie McAvoy for Sidley Austin senior counsel and personal acquaintance of Robert Mueller, Thomas C. Green. Manafort worked closely with the Podesta Group as one of six lobbying firms to help Ukraine into the European Union between 2012 and 2014. Founded by Clinton campaign chairman John Podesta and his brother Tony, while operated by the latter, the Podesta Group was subpoenaed by Robert Mueller's team last August in order to obtain testimony from executives who worked on the campaign. Of note, while Manafort's firm earned $17 million consulting for Ukrainian President Viktor Yanukovych's pro-Russia ‘Party of Regions.’ During the same period, Manafort oversaw a lobbying campaign for the pro-Russia “Centre for a Modern Ukraine,” (ECMU) a Brussels based think tank linked to Yanukovych which was pushing for Ukraine’s entry into the European Union. One of the filings is for Tony Podesta himself, who was a bundler for Hillary Clinton’s 2016 presidential campaign. Tony and his brother John–Clinton’s 2016 campaign chairman–co-founded the lobbying firm in 1988. "To conceal the scheme, Manafort and GATES developed a false and misleading cover story that would distance themselves and the Government of Ukraine, Yanukovych, and the Party of Regions from the Centre, Company A, and Company B. For instance, in the wake of extensive press reports on Manafort and his connections with Ukraine, on August 16, 2016 GATES communicated false talking points to Company B in writing." Paul Manafort, on the other hand, was indicted last October for - among other things, failing to register for the same work that Podesta retroactively "remembered to file" as the Mueller investigation was heating up. 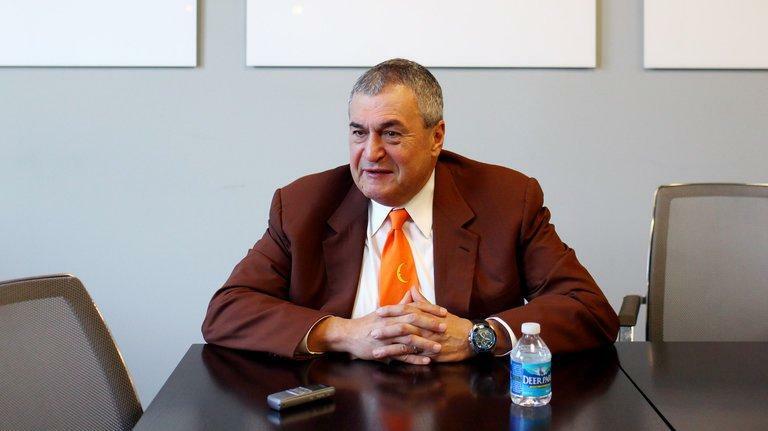 While the Podesta Group was disbanded shortly after Tony Podesta stepped down last year in the wake of the Mueller inquiry, a former longtime executive of the now-defunct lobbying firm who has been "extensively" interviewed by Robert Mueller's team revealed to Fox that Manafort and the Podesta group had been working together since at least 2011 on behalf of Russian interests, and that Manafort was at the Podesta Group offices "all the time, at least once a month," peddling influence through the ECMU think-tank. Manafort allegedly brought a "parade of Russian oligarchs" to Congress for meetings with members and their staffs, however, Russia's "central effort" was to get to the Obama administration." We don't expect much of Manafort and Podesta's alleged "oligarch peddling" operation to see the light of day, considering that it would implicate the Obama administration and directly ties to the Uranium One deal that Mueller's FBI should have prevented from happening based on evidence from an undercover operative in the Russian nuclear industry, but who knows - maybe Manafort will write a book in prison depending on how things shake out. Rick Gates, on the other hand, should be out in 18 months, returning home to wife and four kids.